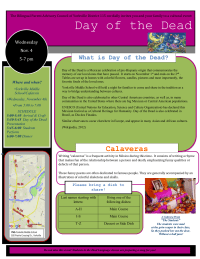 Use this colorful "Save the Date" graphic on a poster board or trifold board to advertise upcoming activities to parents and community members attending an event. A clip art version is also available in the Event Logos clip art section and can be scaled down to add at the top of electronic versions of flyers and more. 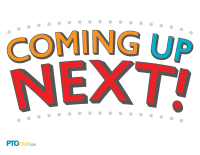 Use this colorful "Coming Up Next" graphic on a poster board or trifold board to advertise your upcoming activities to families and community members attending an event. A clip art version is also available in the Event Logos clip art section and can be scaled down to add at the top of your electronic versions of flyers and more. 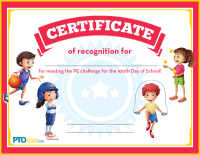 Cute certificate to give to students who meet a PE challenge (for example, doing the 100-yard dash, 100 sit-ups, 100 jumping jacks) for the 100th day of school. 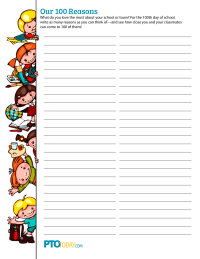 Cute sheet to use for a 100th day activity asking kids to list 100 reasons they love their school, town, etc. 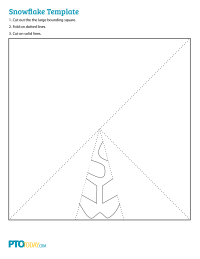 Printable snowflake templates to fold and cut into paper snowflakes. This is a simple form that can be filled out and given to whomever is in charge of creating flyers. 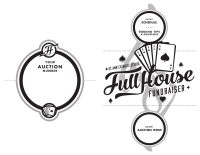 Full House Fundraiser (previously known as Casino Night) is our annual event. The event is full catered, with beer/wine, casino style gaming and silent auction. Attached is our full brochure of the event. We have an amazingly talented graphic designer who designed the logo and all the other collateral materials. 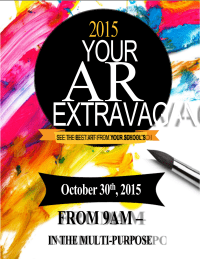 Hope it helps and inspires your event. 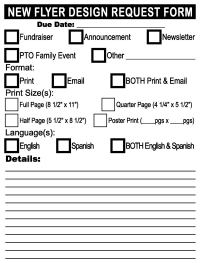 Colorful and customizable template for a school event program (talent show, graduation, etc.). 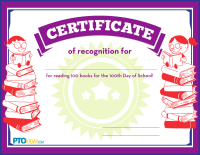 This is a book swap form I created to send home with the students. 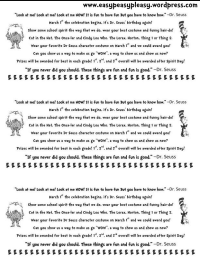 This is flyer I made and sent home with the students for a Dr. Seuss costume contest. 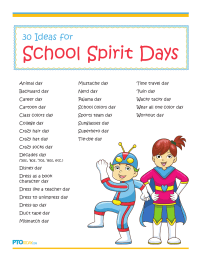 Sheet of 30 ideas from the well-known (crazy hair) to the more unusual (time travel day) to inspire your group and school for spirit days. 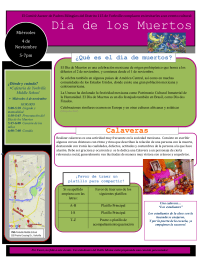 Cute and customizable flyer to promote a potluck wine night for parents from your school or parent group. 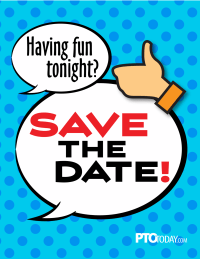 Cute and customizable flyer to promote a night out for parents from your school or parent group. Cute and customizable flyer to promote a moms-only event for mothers from your school or parent group. 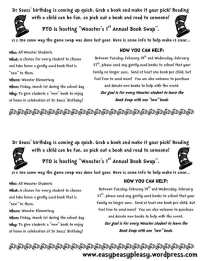 Cute and customizable flyer to promote a drop-off-the-kids night at school so adults can enjoy an evening out. Cute and customizable flyer to promote a dads-only event for fathers from your school or parent group.